If you know that your data should be strictly increasing, but the real data shows otherwise, use Isotonic regression to get a suitable strictly increasing approximation. 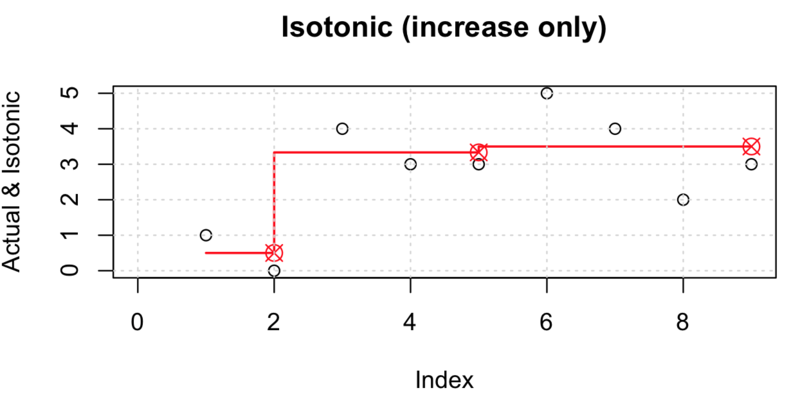 Applying isotonic regression is quite straight forward in R. The isoreg() function comes handy for this, as it can be used on numeric data without supplying special arguments. y <- c(1, 0, 4, 3, 3, 5, 4, 2, 3)  # actual y that should only be increasing.